Maha Haj wins best feature for ‘Personal Affairs,’ ‘In Between – Bar Bahar’ by Maysaloun Hamoud wins best first feature. Two female Palestinian directors won top prizes at the Haifa Film Festival on Sunday, getting both prestige and lump sums for their feature-length movies in Arabic. « Personal Affairs, » directed by Maha Haj, won best feature, while « Bar Bahar – In Between » by Maysaloun Hamoud won best first feature. « Personal Affairs » focuses on an elderly Arab couple in Nazareth, their pregnant daughter, libertine son, and a grandmother who is rapidly losing her mind. « A creation entirely made of love for humankind, fluid and funny, captivating and kind-hearted, a human tapestry, local, universal and contemporary, » the judges wrote in their decision to grant the film the festival’s highest honor, as well as 100,000 shekels. « Bar Bahar – In Between » tells the tale of three young Palestinian Israelis living together in Tel Aviv, from the prying eyes of Arab society, which follows their every step, and in the heart of liberal Israeli society that always treats them as second-class citizens. The film won 50,000 shekels. « A powerful creation about women fighting to mold their own fate, through competition, friendship, courage, victory and breaking free, and the prices these carry, » the judges wrote. 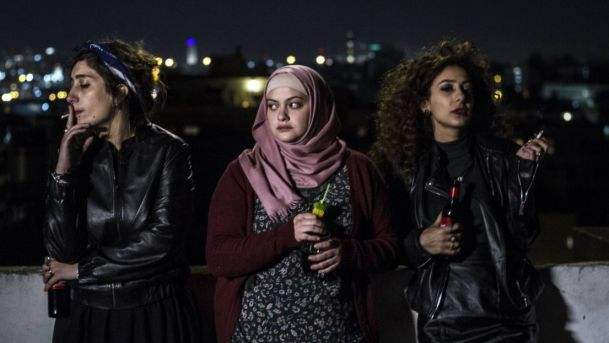 Hamoud’s film also won the Audience Award, and its three actresses won the Fedeora award for artistic achievement in an Israeli feature, handed out by the Federation of Film Critics of Europe and Mediterranean. Both Haj and Hamoud, who live in Nazareth and Tel Aviv respectively, have Israeli citizenships. However, they identify as Palestinian. The best actor award was shared by the two leads of Eyal Halfon’s « The 90 Minute War », Norman Issa and Moshe Ivgy. Noa Koller won best actress for her role in Rama Burshtein’s Through the Wall.